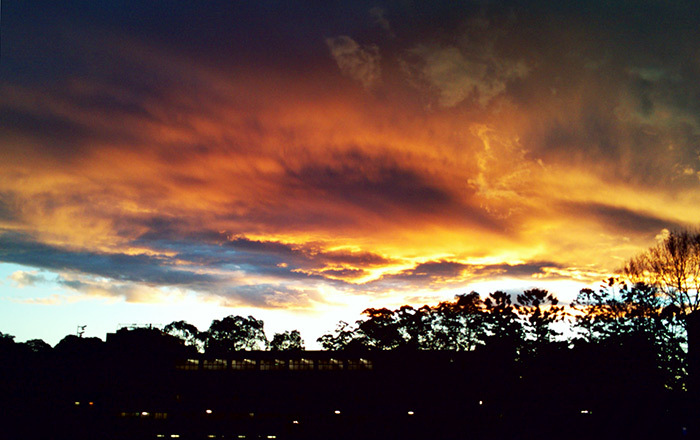 Bizarre experience yesterday afternoon just before the sun went down at Sydney Uni — the photo above was one of a bunch I snapped with my phone, and it really doesn’t do it any justice. As I paused to take a few photos, I realised that no fewer than 15 people were doing exactly the same thing! I was reminded of the truth of Romans 1, which explains how God reveals himself to everyone in creation but how so many have turned to serve creation, not the creator. This doesn’t detract from the beauty or experience of creation at all — instead, it frames everything within the beauty of a God who is intimately involved with and deeply cares for the world He created and sustains. Thank God for sunsets.